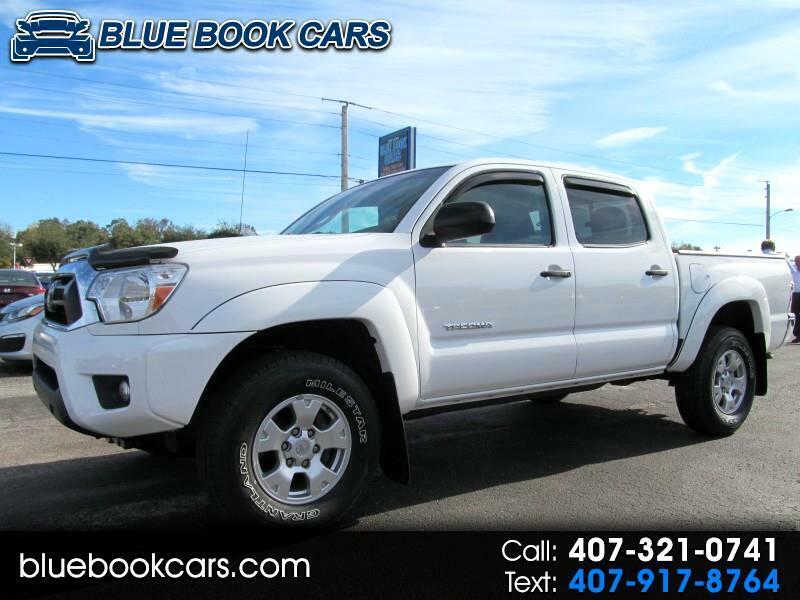 2014 TOYOTA DOUBLE CAB PRE RUNNER 4.0L V-6 / Automatic transmission w/ O/D. Reverse camera, Blue-tooth, Bed-liner, USB & Auxiliary inputs, Power windows - locks - mirrors, Alloy wheels, Fog lights, plus much more.
" THE BEST TRUCKS AT THE BEST PRICES " They're great trucks for light hauling. It's a tough, dependable little hauler with surprisingly good performance with 2 wheel drive. Welcome to Blue Book Cars, serving Central Florida for over 44 years! Please view our large inventory and other services available at bluebookcars.com or call 407-321-0741 We have over 20 top lenders ready to compete for your loan, serving ALL credit needs including first time buyers, or those with limited or no credit experience.